One of our goals this past year was to ramp up our blogging efforts, creating more quality content that covered industry topics, training news and improvements to the OpenSesame site. Since the beginning of the year, we’ve published more than 200 posts on everything from the updated GHS standards, to the best Mac productivity apps—even the threat of a sriracha shortage. We’ve learned a lot over the past year and we wanted to share the popular lessons with you. 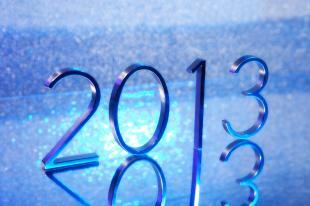 Whether you’re a long time reader or just getting started on our blog, check out our top ten blog posts from 2013. Many of us use this time of year to clean out our digital closets in an effort to increase our productivity. Our top 100 learning tools post for 2013 (and 2014) shares popular apps to achieve help you achieve organization nirvana with tools for collaboration, education and communication. With the improvements in video and presentation technology, it has never been easier for subject matter experts to share their knowledge through elearning. If you are interested in building your own online training courses in 2014, this post shares the basics to get you started. With OpenSesame, we make it simple to get starting using online training today. You can purchase and launch courses directly on our site, or upload the courses to your learning management system. Whichever way you chose, this post will guide you through the process. Sexual harassment was a hot news item this year, particularly around the lawsuit against San Diego Mayor Bob Filner. In that particular case, Filner claimed the city was at fault for not providing him with the legally required training mandated by the state of California. As no two states our the same, our guide outlines the sexual harassment training requirements on a state-by-state basis. 5. Restaurant Server Skills: Do Your Employees Have The Training They Need? A small restaurant in Scottsdale, AZ made big headlines this year when Gordon Ramsay refused to continue assisting owners, Amy and Samy Bouzaglo, through his show “Kitchen Nightmares.” The restaurant had been through more than 100 employees in the course of the year, with owners claiming the servers didn’t have the experience they needed. While the Bouzaglo’s had many other issues, untrained employees is one they could have easily avoided with our post on restaurant server skills. Once you’ve read our “eLearning 101” post, you’re ready to move onto to actually building the courses. This tools posts shares both open and commercial products available to help with the various aspects of creating elearning courses. Acronyms can always be a bit tricky, which is why we wrote this post clearing up three of the most common acronyms to elearning. In this post we cover the differences between a learning management system, a learning content management system and a content management system—and which option makes the most sense for you. If you have a goal to be more active in Twitter in 2014, we’ve got your starter kit right here. This posts provides short bios and links to the top “Twitterati” in the education techonology and training fields. Also check out our top 50 HR Twitter accounts to follow. The Occupational Safety and Health Administration (OSHA) provides guidelines for ladder use. This posts distills their rules into their simplest parts: a list of 15 considerations that will help you understand the tedious OSHA guidelines, so that you can minimize the risk of an expensive incident. OpenSesame offers unprecedented flexibility in buying and using online training courses…and we’d like to tell you all about it! Do you have a favorite post from 2013? Let us know in the comments!